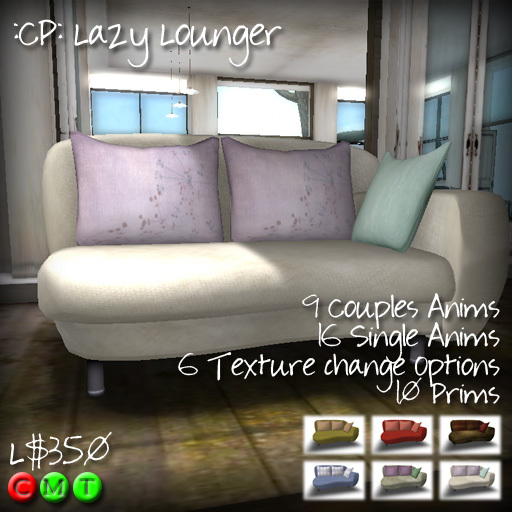 New items at Cheeky Pea!! Now besides this cool lounger they also have this fly Treehouse! Sooo gotta beg my mom to get me one 🙂 The Treehouse alone is 35 prims but with optional items for rezzing. 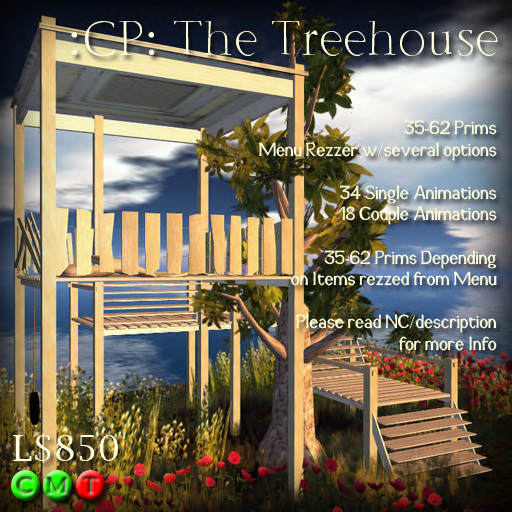 With the items included the Treehouse will be 62 prims. Still not bad 🙂 It has 34 single animations and 18 couple animations. Looks sideways at mom….Oh MOM?!? LOL! ← ALBERO Summer Gatcha Festival!! !